How you doin’? Terribly! Thank you for asking. Just this past Monday, Don Lemon, who was subbing for Williams in her extended absence from The Wendy Williams Show, said Williams was expected to resume her hosting duties next week. 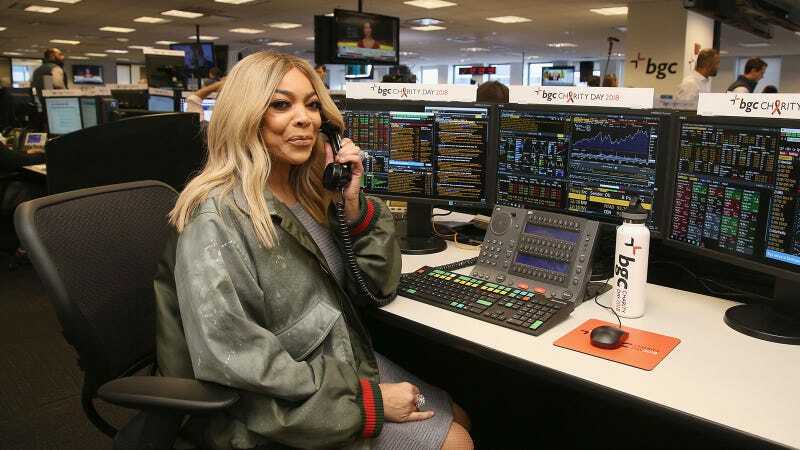 The Post reports that next week’s episodes of The Wendy Williams Show will be reruns, and the following will be much like this week’s, with multiple hosts filling in (presumably panel-style, as they did this week). That means February 4 is the earliest date Williams would return to her show. After a segment in which her speech sounded slurred on the December 20 episode of her show, she attributed it to pain meds she said she was taking for a hairline fracture in her shoulder. “I will get some much needed rest and healing over these next couple of weeks,” she wrote on Instagram. She intended to return to air January 7, but reruns ran that week instead. This week kicked off with Lemon announcing she’d be back the following week. And now this.